Are you new to UBC and need to know how the library works? 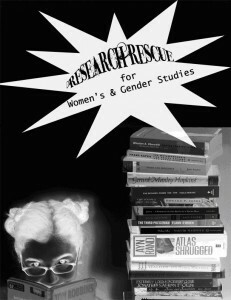 Interested in Women’s and Gender Studies research and aren’t sure where to start? Need to have a calm moment before facing your research? The Research Rescue for Women’s and Gender Studies Zine will provide you with a basic introduction to research at the library. …. And plenty of tips brought to you by the Women’s and Gender Studies librarian in hopes of making you feel at ease when using UBC Libraries! ♣♥ The economy and jobs will be the big issues when Parliament returns Monday, Government House Leader John Baird says. “The economy remains the No. 1 priority for our government,” he told reporters Thursday.